From 1st Janurary LPG subside will get directly credit in consumer bank account ,So it time to verify whether you bank account is connected to Aadhaar number or not. If you have already submitted Aadhaar number to Bank so please verify using this method. If it dosnet work Please take visit Bank and have inquiry. To find out whether your Aadhaar number associated with your bank account or not, the consumer can dial * 99 * 99 # on your mobile dial, next enter the base number of 12 digits and then click OK. 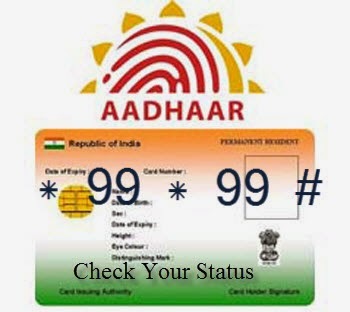 If the Aadhaar number is correct to confirm Dial 1. There will be message wheter your aadhar number is connected to any bank account of not. IF card is connected to bank then there will be message will tell you when your Aadhaar card number has been link which bank card.